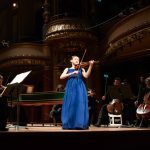 Clara Shen, winner of the Junior 4th Prize at the Menuhin Competition Geneva 2018, performed in the Opening Concert of the World Economic Forum’s Annual Meeting 2019 on 21st January. 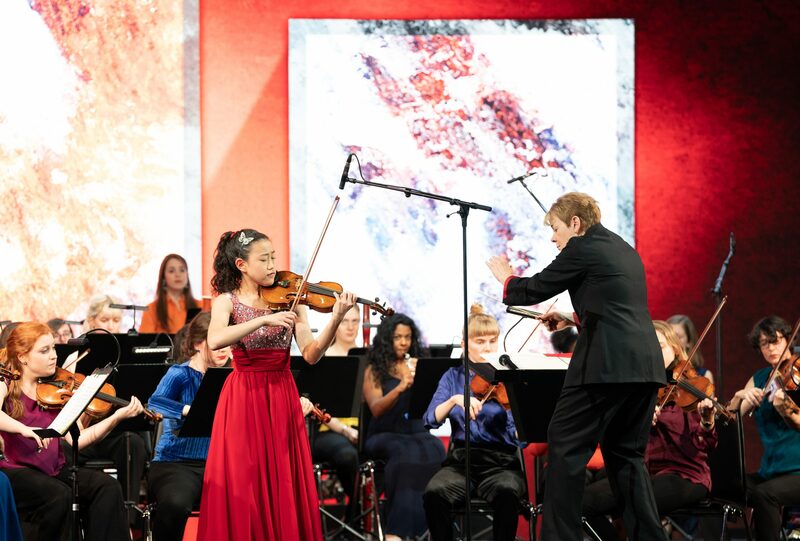 The Opening Concert was led by Crystal Awardee Marin Alsop, who conducted the Menuhin Competition Geneva 2018 Opening Concert with the Orchestre de la Suisse Romande on 12th April 2018, featuring Clara Shen as soloist alongside the Taki Concordia Orchestra. 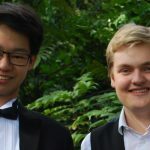 The concert was live-streamed and you can watch it again here as well as view photos from the concert here. Prior to the concert, the World Economic Forum’s Annual Meeting was opened with the presentation of the Crystal Awards. Our founder Yehudi Menuhin was part of the creation of the Crystal Awards 25 years ago. The Crystal Award honours exceptional artists and cultural leaders whose important contributions are improving the state of the world and who best represent the “spirit of Davos”. You can watch the award ceremony here. Menuhin’s contribution is remembered from 03:45 and Marin Alsop is presented with her award from c. 6:00, followed by presentations to Haifaa Al Mansour & Sir David Attenborough. 25 Feb 2019 – 10 Million Views on our YouTube Channel!